Neither humans nor machines are perfect. 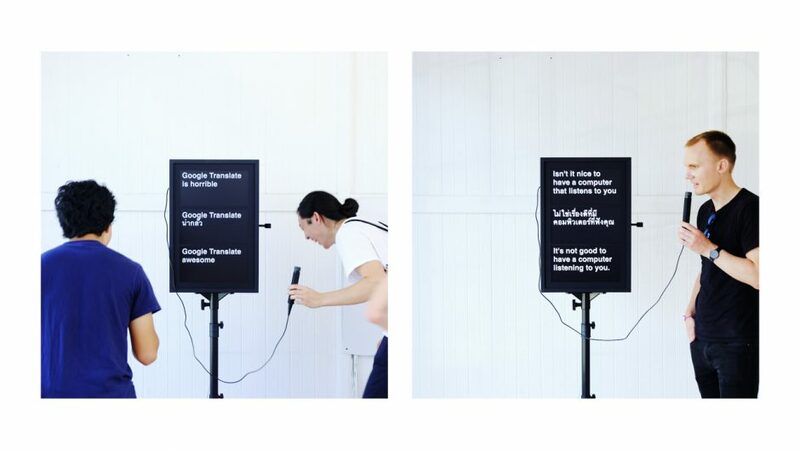 The Google Translate algorithm can translate phrases across a wide range of languages instantaneously - something that extremely few humans are capable of, but its accuracy might never be able to catch up with the subtleties of human language. These discrepancies become evident when a phrase is first translated (in this case, into Thai), and then re-translated back into English. These shortcomings in both human and machine capabilities point to the future where both parties coexist and collaborate.